UPDATED 05.19.14: Here’s my reaction to Sandy Henry’s challenge…enjoy! blues with the surrounding sky. and join us for eternity? 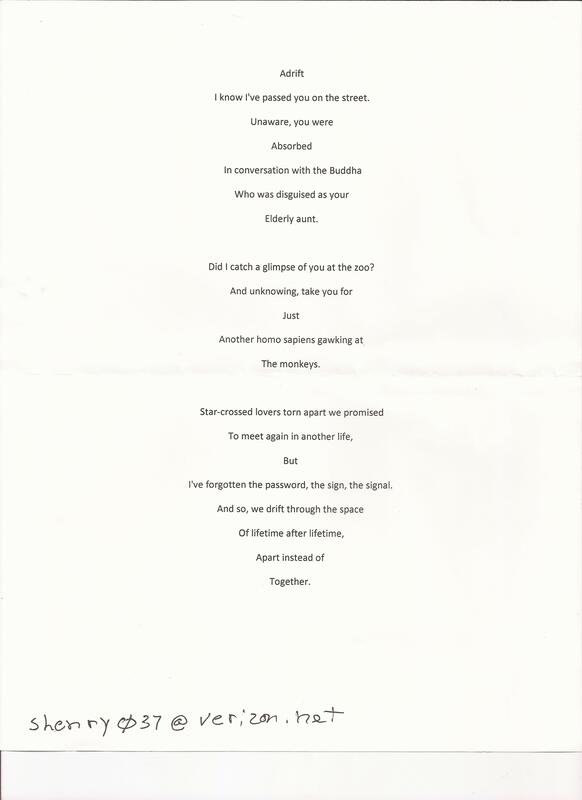 Sandy Henry created this poem and performed it at a recent event. She then posed the challenge of creating a work, any kind of work, in reaction to her poem. I’m up for the challenge; how about you? I’m gonna do a creative reaction and post it Sunday evening. Whatever you decide to do – photo, poem, prose, song, freestyle – send me a link to it. You can post it on your blog, just make sure to give me a touchback. 😉 Sandy is looking forward to our activity. Posted on May 14, 2014 May 19, 2014 by Von SimeonPosted in Art, Flash Fiction, Flashback, Humor, Inspiration, Music, Nature, Nonfiction, Philosophy, Photography, Poetry, Writing, Writing ExercisesTagged Art Competition, Ekphrastic poetry, Reactionary art, Writing Prompts. Thank you for the contribution, Rambler. Exceptionally powerful! Relentless hope…love that knows no time restraints…wonderful. Thank you… in fact thank you for the opportunity! and it’s a great idea of a post and I hope that we can get more people to contribute. It was my first attempt at a collaborative post. I’ll find another topic to whip people into a frenzy! If you’re reading this and want to participate, go ahead and post when you’re ready 🙂 All art is welcome.